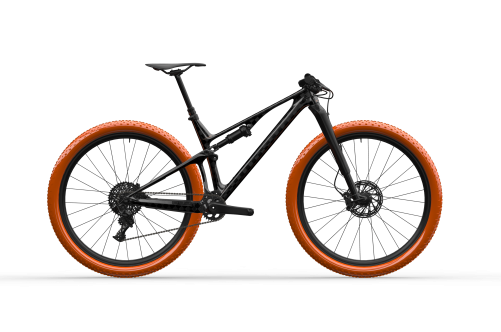 Here you can find all the standards used in our frames, in Unno we have chosen each of them thinking about the best quality and performance. 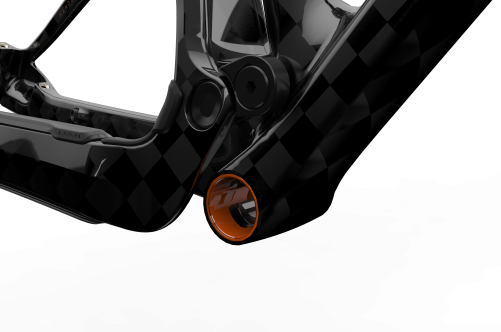 We use bearings from Enduro Bearings Max in all joints, with 50% more balls than normal bearings for a maximum strength. 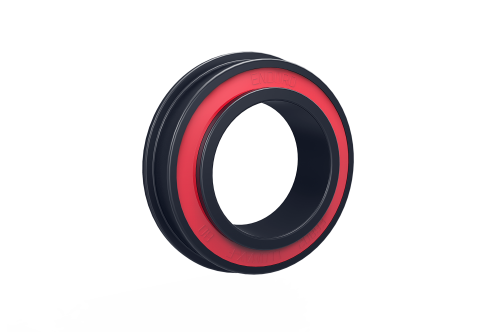 The bearings have magnetite treatment for hardness, rust resistance and even more reliability. 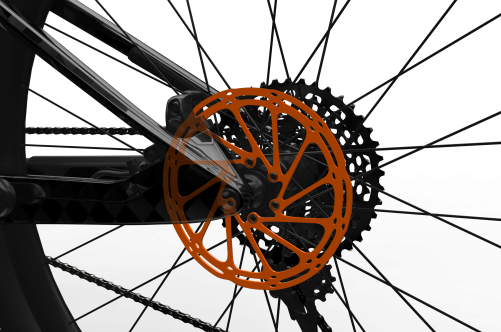 We use standard Boost 148 hub spacing. 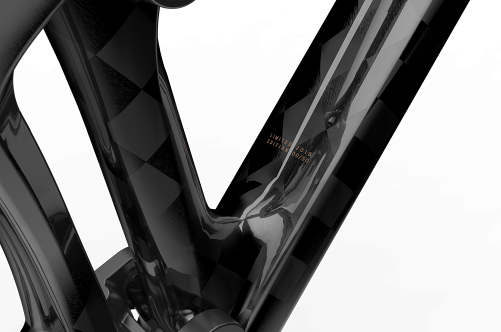 We use a zero stack tapered head tube with IS41/28.6/H9 | IS52/40 measurements. 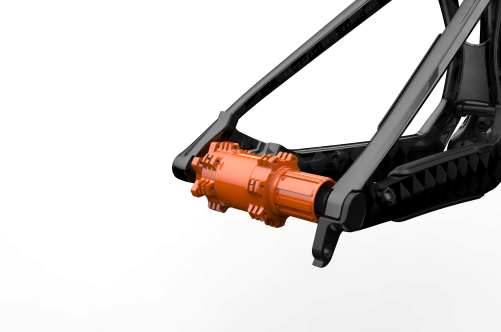 We use an integrated Post Mount for maximum caliper, and hose protection for a standard 160 mm disc. 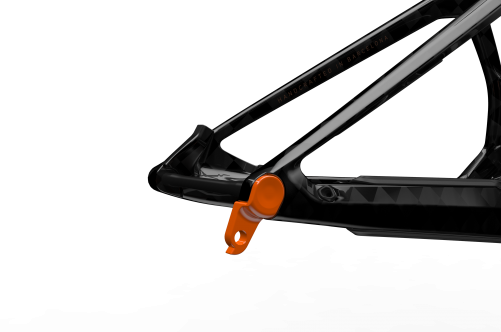 Our integrated caliper mount is stiffer than the usual mounts since we do not use long tabs. This leads to no vibration during braking and an extremely silent braking. 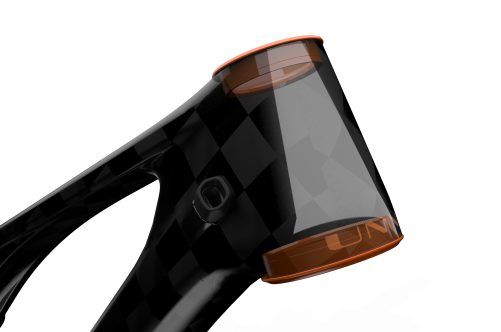 Stealth seat post compatible of 31.6 mm diameter. 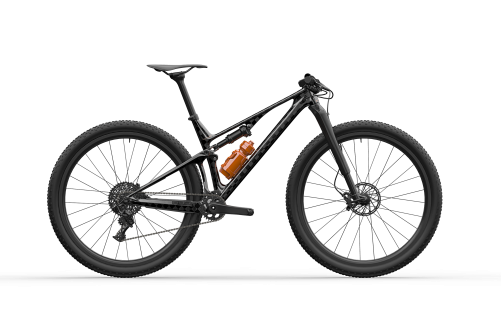 All of the cables are routed with a co-molded carbon guiding, which guarantees a silent riding as well as protects the frame from cables scratching it with mud and dirt. It also takes only seconds to pass the cables through our frames. 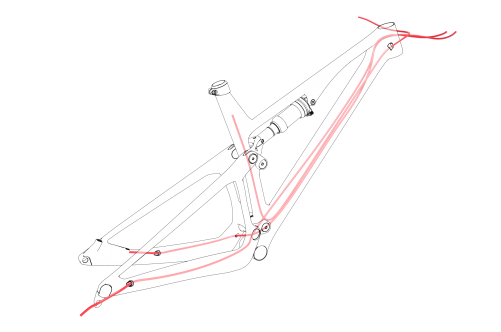 We use three different chain protectors: for the chain stay, seat stay and the yoke. 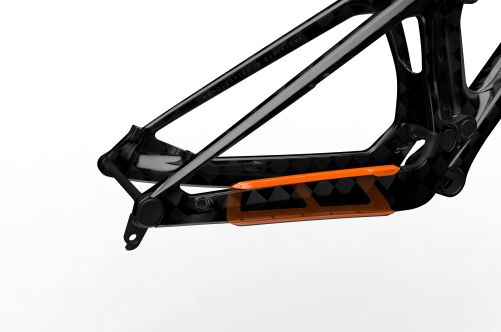 We want to ensure that the frame looks always brand new. All of our frames are made as limited editions and each one of them is individually numbered. 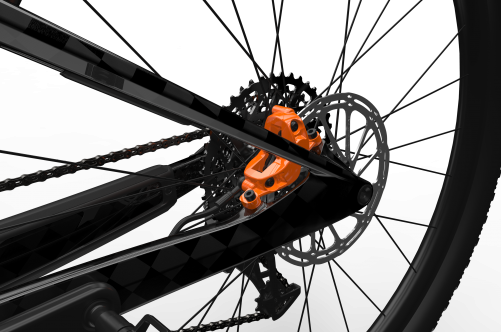 Our one piece no bolts dropout system uses a squared shape for maximum resistance and strength. You can mount a standard 1L bottle. Copyright © 2019 Unno SL All rights reserved. 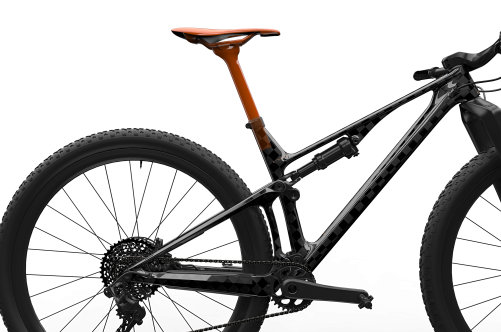 Sign up to the Unno Newsletter to keep up to date with what is going on with us, and to make sure you don’t miss when new bikes are available for sale. We will also keep you up with other cool news.